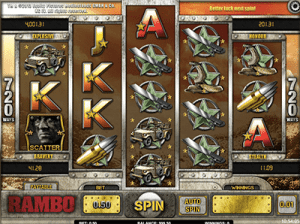 Progressive pokies can offer substantial wins – often in the seven or sometimes eight figure range. You can find secure and fair progressive pokies online which offer some of the biggest payouts – the best part is you can usually play in your local currency. We take a look where. What is a progressive poker machine? Microgaming was the first to develop progressive jackpots for the online realm of gaming and since then they’ve only increased in the number available for players. These can be local or wide area network progressives – what we mean by this is they can be specific to one casino, or linked across multiple online casinos via the software provider, respectively. The latter generally offers the bigger progressive jackpots. We take a look at the biggest progressive jackpots available online, with games on offer from some of the biggest pokies software developers – and whether or not you can play them for real money. Big software developers have created big progressives, but keep in mind that some software brands block their progressive jackpot games from players from certain countries, so you may have to shop around through our recommended online casinos in the table above before you find a progressive that suits you. Net Entertainment offers a huge range of network pokies, including Mega Fortune and Divine Fortune, two of the biggest online progressives available. Other big winning titles include Hall of Gods, Arabian Nights, Cosmic Fortune and Geisha Wonders. The progressive is linked all around the world and has four progressive jackpots attached. The biggest one starts at $1 million and can get up to the eight figure mark – in fact it does regularly and lucky players become instant millionaires. 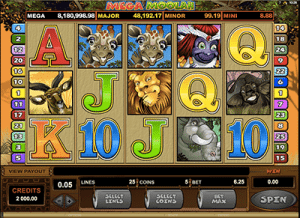 Mega Moolah has an African Safari theme, fit with lions and tigers and more, and three smaller progressive jackpots including the mini, minor and major. In order to win one of the four jackpots, players need to be playing the maximum bet of $6.25 and have every payline active. In terms of gameplay, there’s 15 free spins available and a 3x multiplier – but we’re here for the chance to win millions. 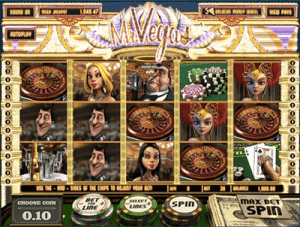 You can find Mega Moolah at many of the most popular casinos on the Web, including all Microgaming-powered casino sites. 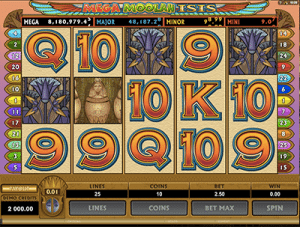 Mega Moolah Isis is quite similar to Mega Moolah – hence the name. The theme has been changed to feature an Egyptian goddess, but the four progressives remain the same. The jackpot doesn’t get up to an eight figure mark as quickly or regularly as the original Mega Moolah – but it does still get there. Regardless, the Mega jackpot starts off at $1 million, which we would happily win. There’s also three smaller progressive jackpots – the mini, minor, and major – and the chance to win up to 30 free spins, plus a 6x multiplier. This pokie also has an advantage over the original Mega Moolah, as the minimum bet of $0.25 per spin will still activate the bonus round to win the progressives. While Microgaming do have reign over the network progressives, BetSoft do offer one title known to get up to the $4 million mark on occasion. 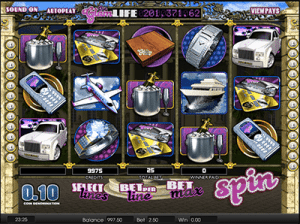 While the company has released several games with progressive jackpots, none of those are quite in the same ballpark as The Glam Life. This five-reel pokie can be considered a deluxe version of NetEnt’s Mega Fortune and perhaps a good substitute. It comes with many of BetSoft’s trademark pokies features, including instant cash prizes, multiple bonus games, and mid-line wins which pay even if a symbol combo doesn’t start on the first reel. What separates The Glam Life from other BetSoft progressives is the scale of the grand prize. Lining up five Yacht symbols on any active payline wins you the jackpot. Glam Life is available at House of Jack. While the progressive jackpots on standalone titles don’t get as large as they do on network linked pokies they still offer great payouts. You can find the following progressives at our online casinos listed in the table above. For instant access to a range of progressive jackpot pokies, head to Raging Bull Casino, our top-rated casino site for players from United States.